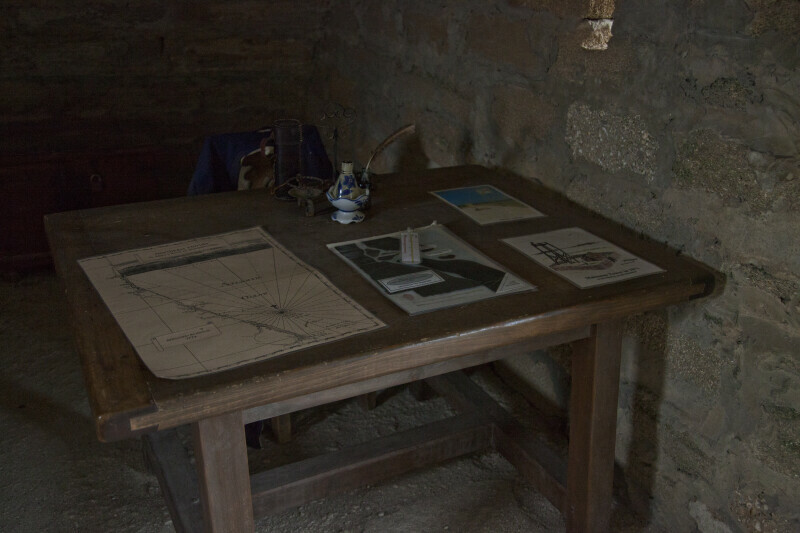 This may be the officer's desk, on the upper floor of the watchtower, at Fort Matanzas. There are charts, and maps, on top of the desk. There is a loophole, in the wall, beside the desk.